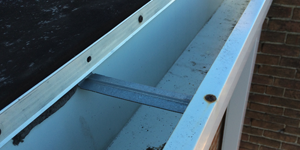 Box gutters are typically seen in commercial applications where large amounts of roof area are being drained and standard gutter sizes will not handle the typical water flow. Box gutters are constructed from a wide variety of materials and so they are typically a custom design each time. A distinctive look for residential and commercial applications. Available in traditional half-round or K-style. Copper by nature will oxidize with exposure giving it the typical greyish green color. 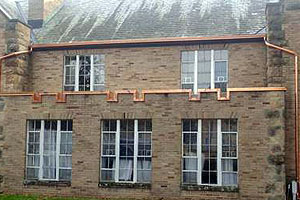 For those wanting the look of new copper we can treat the gutters with a sealer that will preserve the new appearance. 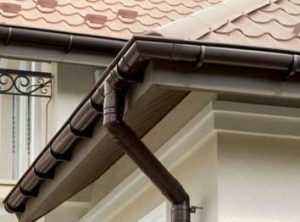 Copper gutters are available in both 5 & 6 inch sizes. Half-round galvanized gutters have a classic look that has significant use in more historic homes. The half-round are hung typically with roof hangers and most often seen with slate or shake roofs that do not have vertical fascia boards. The galvanized metal is quite strong and can last a very long time. The draw back to these gutters is that they will rust over time. Galvanized gutters are available in both 5 & 6 inch sizes. The versatility of aluminum is what makes this the most practical installation choice for most situations. While both copper and galvanized gutters typically come in sections aluminum gutters are extruded on-site to match the site-specific needs. 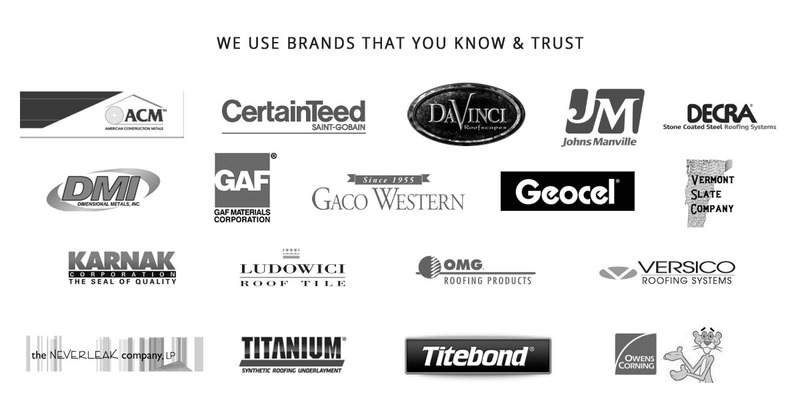 Aluminum will never rust so unless the aluminum is damaged it will last a lifetime. Aluminum is also available in a wide variety of colors to match every clients needs. Aluminum gutters are available in both 5 & 6 inch sizes as well as half-round and K-style. Because aluminum is easy to bend and shape we can also create custom pieces to meet any special requirements. Aluminum gutters are common on all commercial and residential buildings. If you need a repair or a complete gutter system renovation, then give us a call and we can design a custom gutter system to meet your needs. 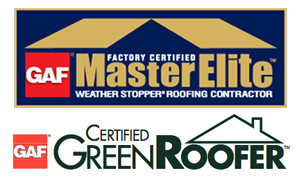 Call Revere Roofing today at 740-392-9450.